Thank God for the Marines! When I think of China Marines, I think immediately of the Marine Detachment in Peking. Why Peking? Because the Marines maintained a presence in that city longer than anywhere else on the Chinese mainland. In addition, their spirited defense of the Legation Quarter in the summer of 1900 against fanatical Boxers, as popularized by the movie 55 Days at Peking, is almost epic in Corps history. Lastly, a photo of a Marine resolutely standing guard with the Chien Men tower looming in the background, symbolizes the Marine’s mission in China like nothing else. Before discussing Marine activities, a brief description of the physical lay-out of the Peking illustrates the environment in which they operated. Peking is built on a flat broad plain. The first thing you would have noticed as you approached the city from the coast was the Western Hills. As Marine Major John Thomason wrote in 1936, “then a long grey wall and unusual towers rise suddenly like thunder before your eyes.” The Peking of the China Marine era is best described as two rectangles ringed by a connecting 40 foot high wall. The smaller rectangle housed the Chinese (Han) portion of Peking and butted up against the larger rectangle which was the Tartar (Manchu) portion of the city. Within the Tartar City housed the Imperial City reserved for Government offices and palaces. Within the Imperial City was another walled area- the Forbidden City in which the ruling Emperor resided. Prior to 1860 Peking was closed to most foreigners. After the Second Opium War, the Chinese were forced to allow the diplomatic community to live in the city. The Chinese chose to restrict them to an area just south east of the Forbidden City in an area reserved for “tribute nations” which was historically occupied by Koreans, Mongolians and Vietnamese when they had business in the capital. This portion of the city now became known as the Legation Quarter. Following the conclusion of the Boxer Uprising, the Legation Quarter was emptied by treaty of all Chinese citizens and expanded to an area one mile long by one half mile wide. The Legation Quarter also became self governing, exempt from Chinese laws and protected by its own guards. Like other foreign powers, since the American’s maintained a Legation in this quarter of the city they were entitled by the Boxer Protocols to have their own guard force. Until the summer of 1900 Peking may have witnessed the occasional Marine from the United States Asiatic Squadron on liberty or arriving to conduct some brief official duty at the American Legation. In 1895 Major George Elliot arrived in the city to support the US Minister to China, but within two months he returned to his ship. 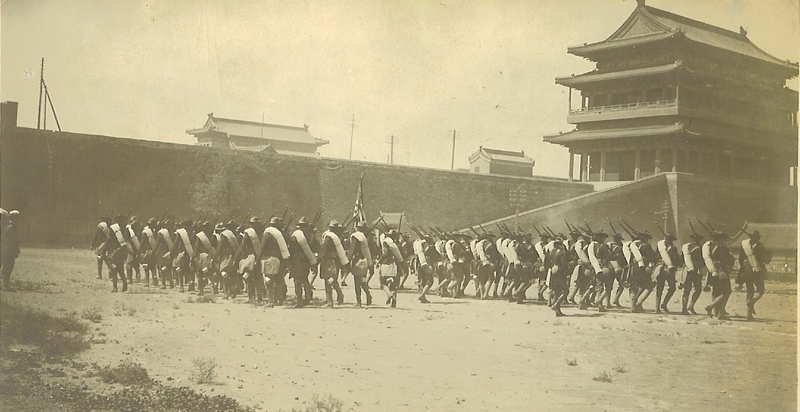 Probably the most exciting period of Marine history in Peking revolves around events associated with the Boxer Uprising during the summer of 1900, when that legendary handful of Marines arrived in Peking to defend the American Legation alongside guards from other nations who were defending their own countries legations from the Boxers and Imperial troops. At this time this site will skip this period as it is already very well documented by George Clark in his book Treading Softly and Chester Biggs’s The United States Marines in North China 1894-1942. Instead, I’ll concentrate on events immediately after the relief of the Legation Quarter in August 1900. 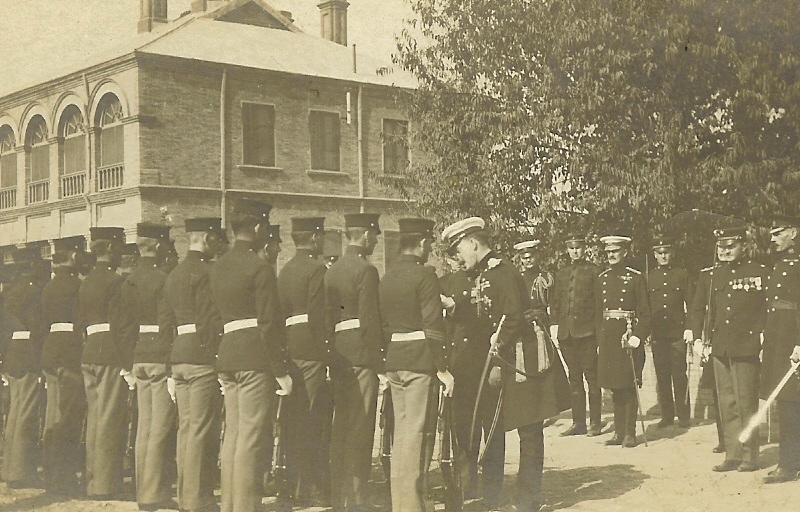 Within one month of the conclusion of the Marines historic stand at the US Legation, the senior American officer present, Army General Adna Chafee, was ordered to send the bulk of his China Relief Force home, including the entire contingent of Peking Marines. Furthermore, Chafee was ordered to designate a company of soldiers to serve as a new legation guard. He chose a company of the 9th US Infantry who had helped lift the siege of the Legation, to fulfill this requirement. Faced with a loss of mission, the Marines were not pleased. 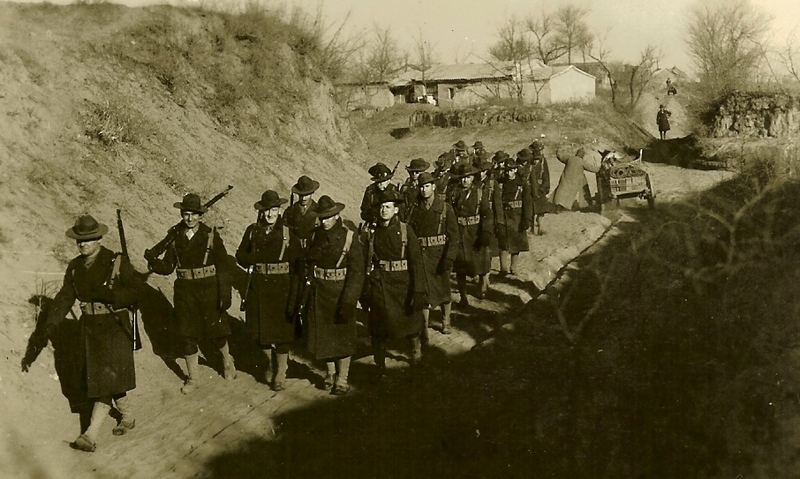 In 1936, when Peking based Marines were drafting a history of their China experience, they repeatedly noted allowing the Army to serve as legation guards was “contrary to custom.” Within a year of the end of hostilities with the Boxers, HQ USMC began a sustained lobbying campaign to return to the American Legation. Finally, in the summer of 1905 the issue reached President Teddy Roosevelt, who passed the matter to the current United States Minister to China, William Rockhill for his recommendation. Rockhill requested the Marines serve as his Legation Guard. Officially, the reason cited was it was easier for the Marines to rotate replacements in and out of China, then for the Army’s 9th Infantry, which by this time, had long since resumed garrison duty stateside. General Chafee would grumble it seemed like Rockhill’s mind was made up before he left the States to assume his duties. Looking at the limited evidence, I agree, and think the Marines just pulled a fast one on the Army. It didn’t take the Marines long to seize the opportunity. 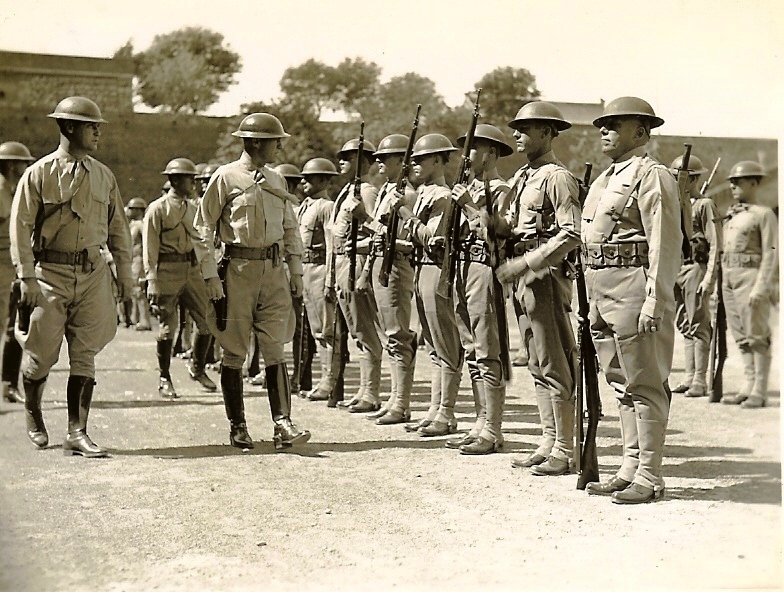 HQ USMC quickly issued orders instructing the commanding officer of the 1st Brigade of Marines in the Philippines to detail two officers and 100 picked men to serve as legation guards in Peking. On 4 Aug Capt Harry Lee and 1Lt Thomas Holcomb, already in the Philippines were ordered to the naval base at Olongapo for the purpose of assembling the legation guard company. On the 23rd of August Capt Lee’s company boarded the USAT Logan, with Secretary of State William Howard Taft and Alice Roosevelt who were departing the Philippines to continue the next leg of their far eastern diplomatic mission that had already included stops in Japan and the Philippines. After a brief stop in Hong Kong, Taft left for the United States, while Alice Roosevelt and the Marines continued on to Peking by way of Taku. 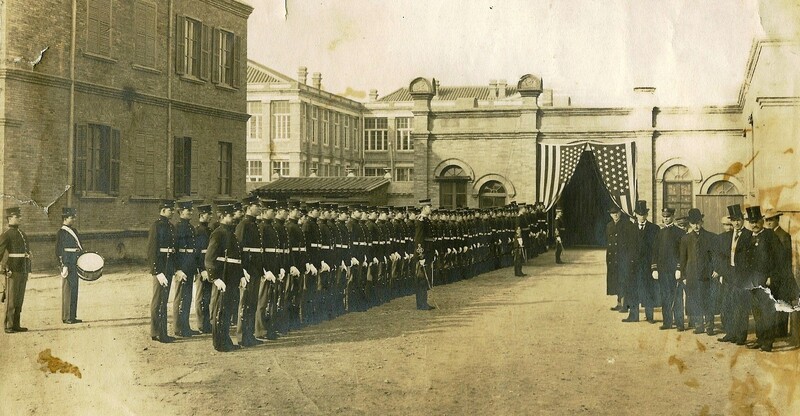 On the 12th of September, the Marines formally assumed the duties as Legation Guard to the US Minister to China from the departing Company B of the 9th US Infantry. The Marines now served alongside legation guards from England, France, Russia, Germany, Austria-Hungary, Japan, Italy, Belgium and Holland. 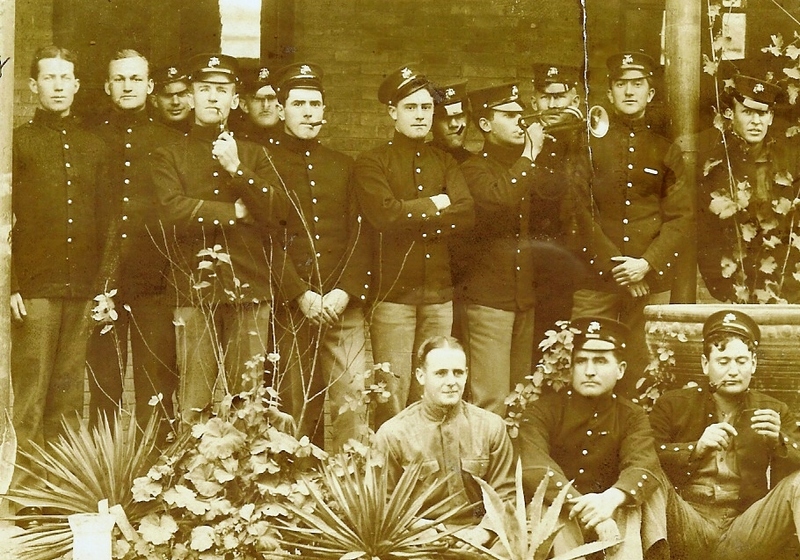 Each year all the International Officers would pose for a group portrait. This picture was taken March of 1914, only months away from the outbreak of WWI. 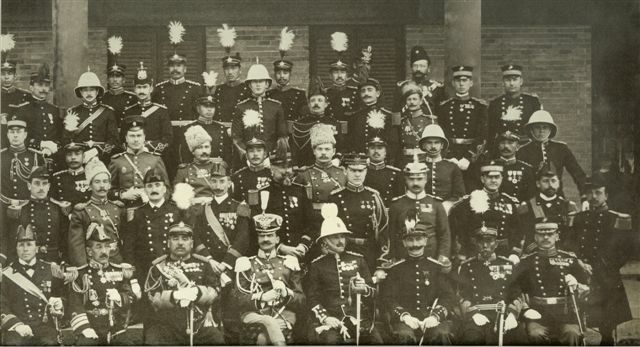 The Marine Guard Detachment at the unveiling of the Peking Memorial Tablets, 13 February 1908. Three tablets were placed at Guard Post #2, in honor of the American Forces who served in China during the Boxer Rebellion. Photo courtesy of the Link Family. This image shows the crew supported weapons available to the Peking Marines, c 1907-08. Weapons include two Gatling Guns, two M95 Colt Machine Guns and two three inch Naval Landing Guns. Photo courtesy of the Link Family. The legation guard compound the Marines occupied was not the same facility that they defended so faithfully during the Boxer troubles. Since that compound was so badly damaged from the fighting, the US Government decided to construct a new larger facility near the old legation on land bought from the French Government. The new legation was divided in two equal and adjoining parts, a guard compound and a diplomatic compound. The guard compound occupied a walled rectangular space roughly 465 by 330 feet. To the east was the unfinished portion of the diplomatic compound of the US Mission to China. To the north ran Legation Street, the central east-west street in the Legation Quarter. To the west was a large open space, or parade ground known as a glacis that provided a clear field of fire for the Marines should the Chinese ever repeat their attack on the Legations. 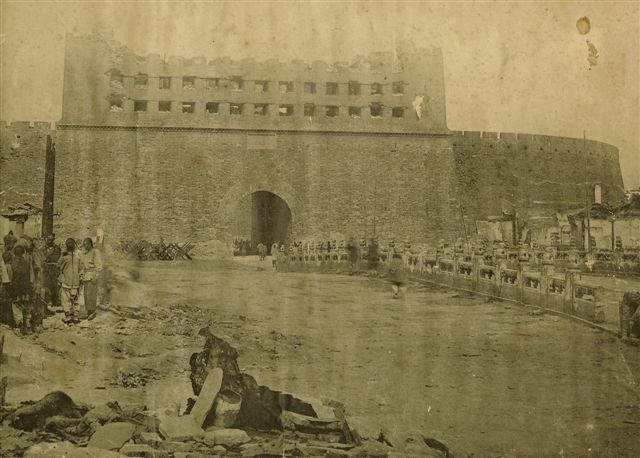 The southern boundary of the compound was bordered by Wall Street, a small road that ran the entire length of the Legation Quarter and was dominated just to the south by the huge forty foot high Tartar, or City Wall that surrounded the Manchu portion of Peking. The Marine compound itself was surrounded by brick walls, but could be accessed through two gates. 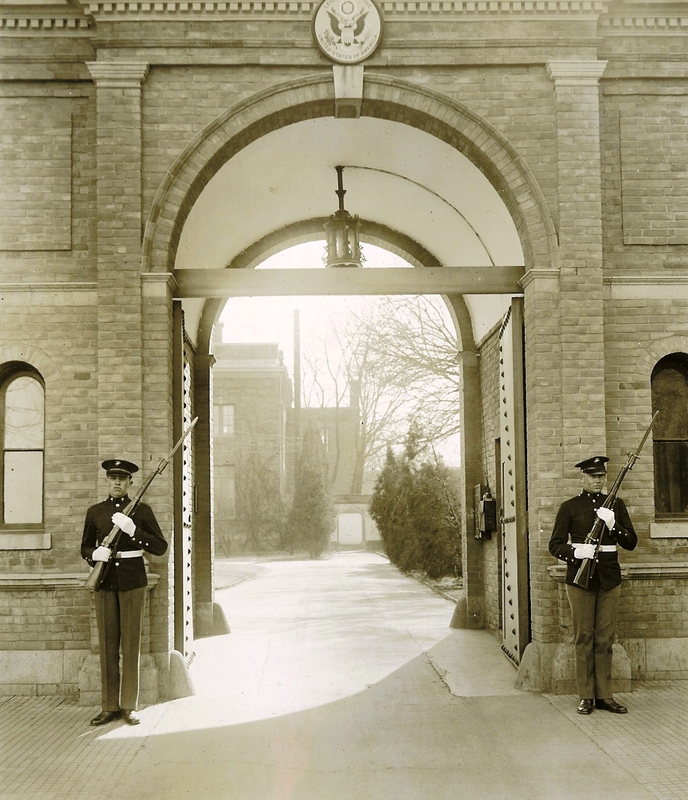 The first, along Legation Street was the military gate and was reserved for officers and staff NCOs. The second gate, at the rear of the compound and facing Wall Street was used by everyone else. For more views of the Legation complex click here. The compound itself initially consisted of a large two story grey brick officers’ building with four townhouse configured apartments, a two story hospital building and a long single story barracks that ran down almost the whole length of the western side of the compound. Other buildings housed company offices, brig, an armory, bathhouse, laundry building, and cook house. During the early years the Marine Compound was very sparse in landscaping; just a few small trees and plants provided a bit of green. But in the summer of 1914 the entire compound was landscaped with trees and a carpet of grass. 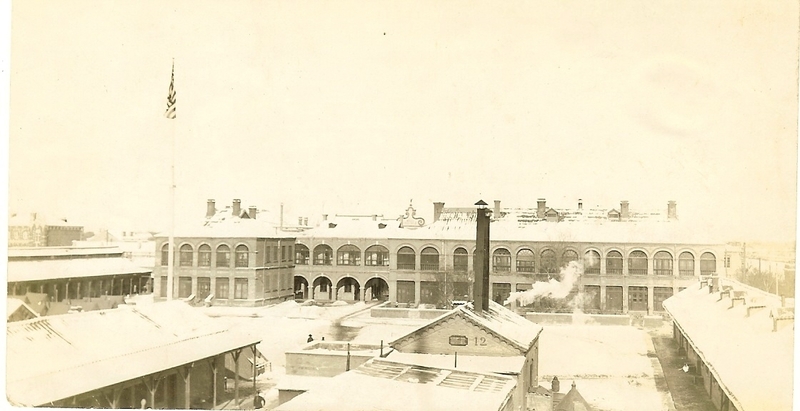 In 1918 the old single story barracks was torn down and a new three story building erected in its place. 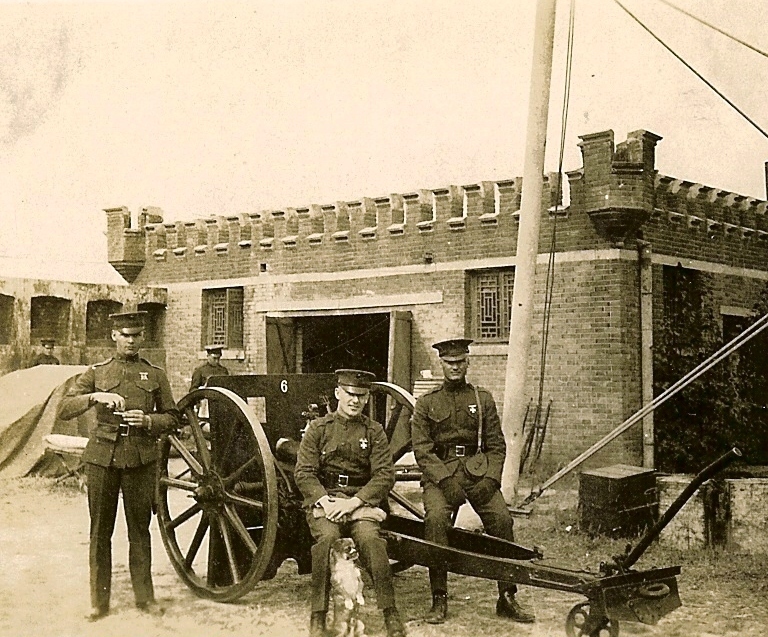 Ironically, while the new barracks were being built, the men lived in the Russian Legation Guard barracks that had been vacated at the start of WWI when their guards were withdrawn. Another improvement to the compound that began in 1913 included the raising over the next ten years of large radio antennas that allowed the Marines to ultimately communicate with naval stations as far away as the West Coast of the United States. In 1934 Johnson Hall was built just to the west of the hospital on a corner of the glacis, and was used for social events as well as training, sports and even served as the seat for the United States Court for China for several years. Although there were many other improvements to the compound over our period of interest they were small and not worth covering at this time. In addition to the main compound, the Marines also maintained a small walled area several hundred yards down Wall Street called the Quartermaster Compound. It was here that the Marines kept stables, vehicles storage, power plant, ice plant, and general supplies. Lastly, the Marines were responsible for guarding the US military Attaches offices that occupied a small building further down Wall Street. 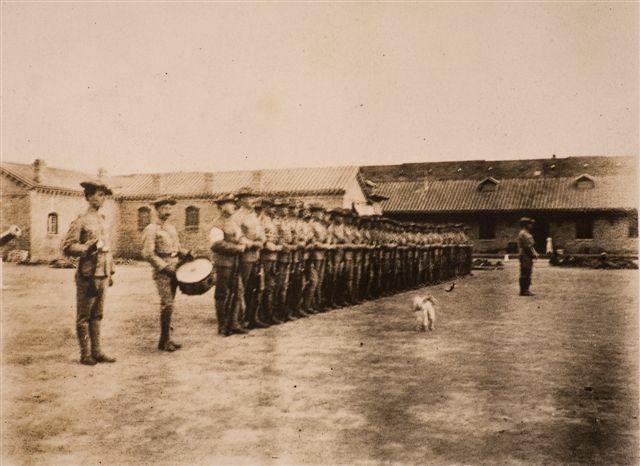 Initially, the Marine detachment was one of the smaller foreign guard detachments in Peking when compared to the British, German, French, Japanese or Russian detachments. In addition, since the first Marine detachment commanders were just Captains and junior to the commanders of a number of the legation guards, the Marines would not have had a significant voice in any multi-nation defense planning for the Legation Quarter. In 1908 the rank issue improved in the Marines favor when Lt Col George Barnett took over the Detachment. 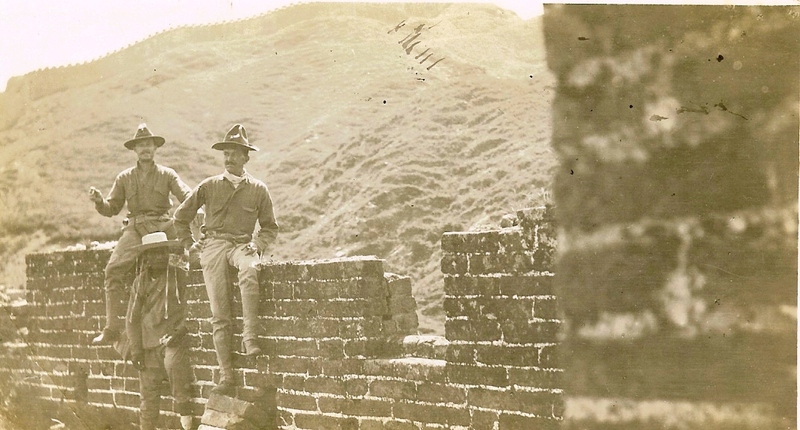 Barnett was an energetic officer and would soon have the Marines conducting two week long field marches to the Great Wall at the Nankow Pass. 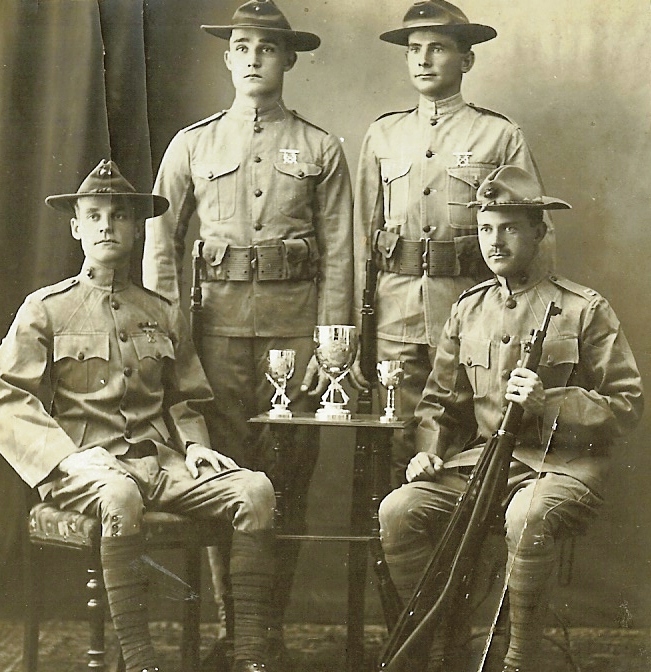 Furthermore, it was during this period that the Marines began to dominate the annual shooting and athletic competitions that the guard forces from the various legations participated. Fears over fallout from the Chinese Revolution of 1911 would bring about the next series of changes for the Legation Detachment when their size permanently increased as a second and then a third company of Marines were added. In addition, it was at this time that the Mounted Detachmentwas first established as well as the creation of a Post Band. 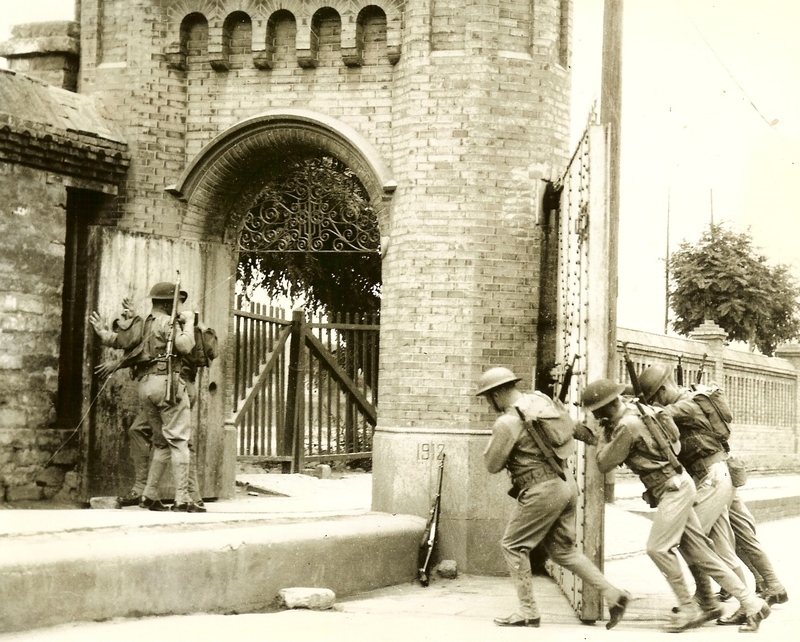 Along with the need for more Marines, the Revolution also brought quite a bit of excitement to the city when the local Chinese garrison rioted on the night of 29 February 1912 forcing the Marines to man barricades around the Legation perimeter for several weeks. Sadly, for the Chinese the revolution did not bring peace to the country and only served to usher in the “Age of Warlords”. For the next fifteen years these warlords fought each other and in the process periodically threatened Peking itself. With the start of World War I in July 1914, a number of nations reduced or withdrew their Legation Guards. For those guards that remained, a strange situation developed where enemies in the Great War, would still cooperate in ensuring the Legation Quarter was secure. Of course that did not stop the occasional brawl between guards which tended to break down along wartime alliance lines such as Germans brawling with English and French Guards. 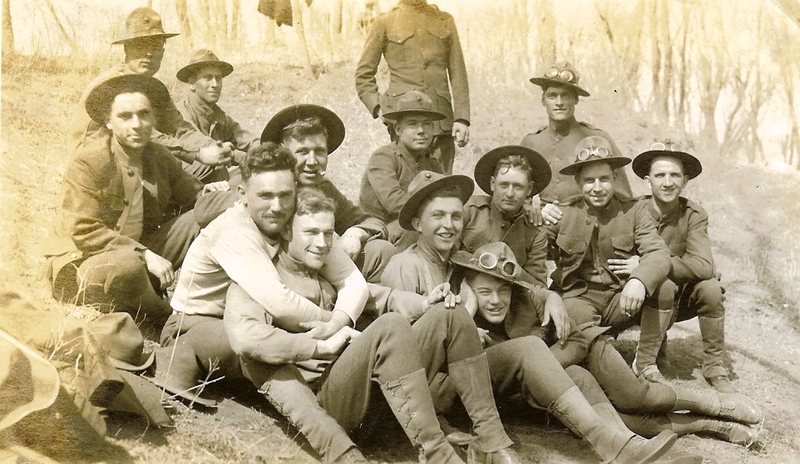 Since the United States remained neutral until 1917, they brawled with everyone! Once China entered the war on the side of the Allies, the German and Austrian Guards were expelled from the Quarter. At the end of the war the Marines joined guard elements of the other allied nations, including the Chinese in parading around the city before attending formal victory celebrations in the Forbidden City. 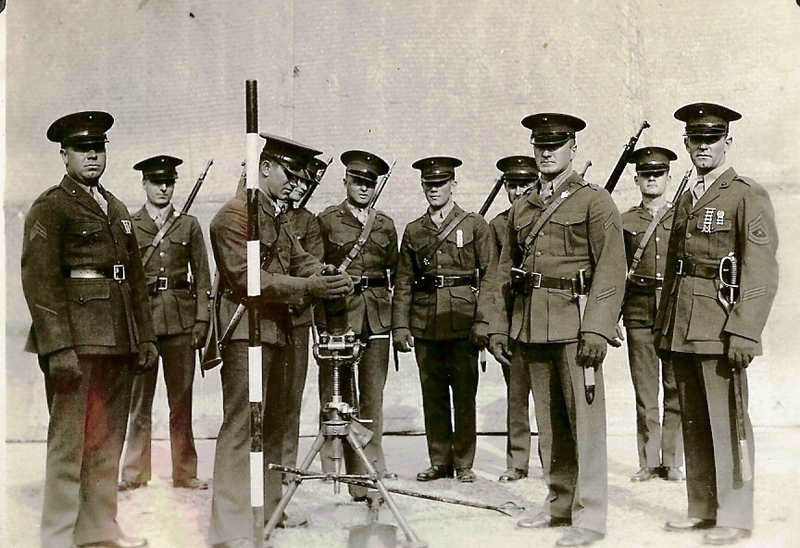 At the end of the First World War the Marines now had the largest guard force in the Quarter, standing at 222 men followed by the Japanese and British at 180 and 102 respectively. During the height of the Chinese Revolution four companies of Marines were kept at the Legation but over time the number was reduced to two. Initially, the Companies were broken down as “A” and “B” but in 1914 they were re-designated the 38th and 39th companies. 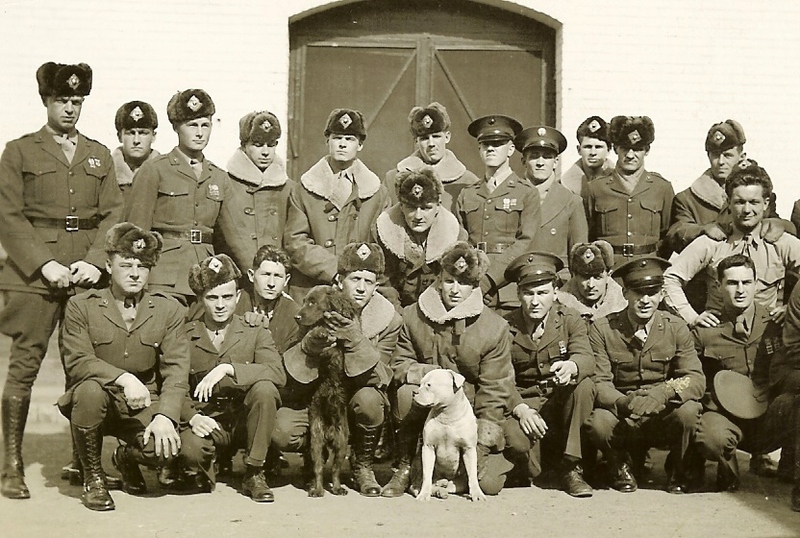 In the late 1920’s a causal company was formed, ultimately identified as the 62nd company. The 38th Company was considered a machine gun company while the 39th was the artillery company and the 62nd a standard rifle company. Sadly, the next eight years saw a continuation of warlord conflict that occasionally threatened to cut off Peking from the sea which brought temporary plus up of Marine guard numbers. But by 1928 a degree of stability returned to the countryside when Chiang Kai Shek’s Nationalist forces subdued most of the warlords. By then the Legation Guard numbered over 500 men. With Chiang Kai Shek’s victory, a “Golden Age” began for the China Marines. By this time Peiping had become modern city and the countryside was now relatively safe so the Marines could focus on training, sightseeing and entertainment. With a strong dollar, they continued to live very well. Not even the 1931-32 Sino-Japanese conflict seriously reduced their opportunities to explore the countryside. Marines and their spouses enjoying a polo match, c 1939. 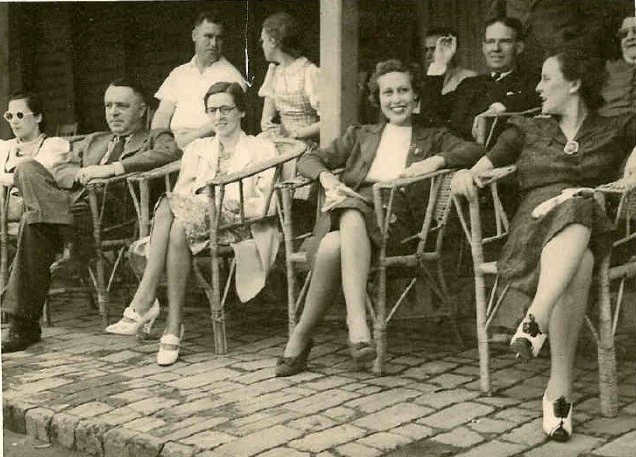 It should be noted that until 1937 duties at the Legation were relatively light, with Chinese room boys performing the majority of housekeeping functions, leaving the Marines to concentrate on guard duty, training, parades and enjoying the local sights. It must be said however service in Peking had a darker side- illness. 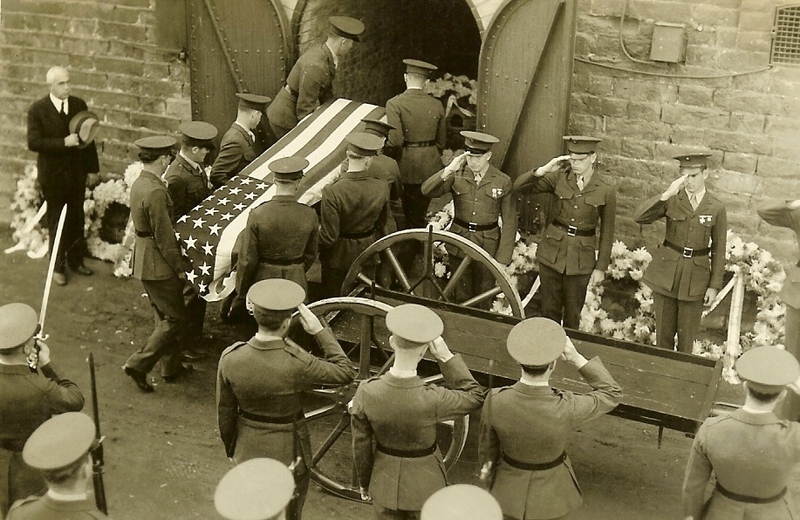 Almost every year from 1905 through 1941 the Guard lost men to illness. The Marines recognized China lacked basic sanitation facilities and so was frequently beset by various epidemics. The Guard did a good job of isolating themselves from the occasional outbreak of the plague, smallpox or other illness that passed through the city. But they were not always immune to such events. 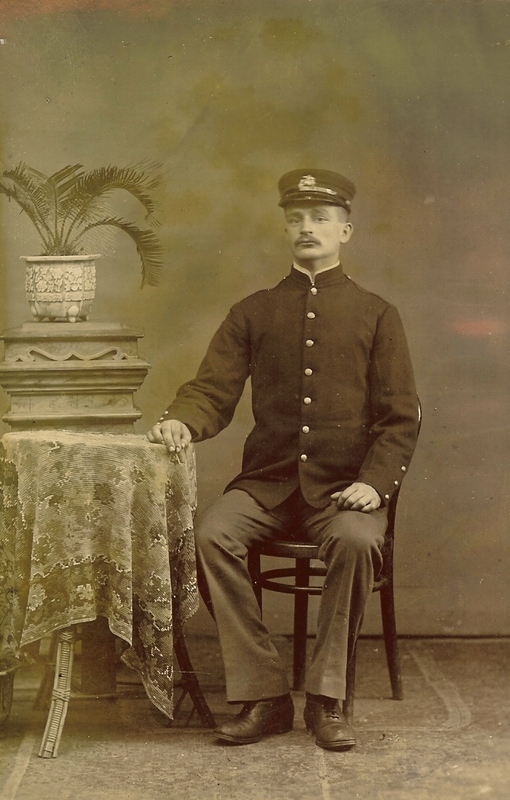 As result of a scarlet fever epidemic, Post Executive officer Maj William Rupertus lost his wife and two of his children. Others would die from infections following surgery or from venereal disease. But the biggest killer was pneumonia, which I think was related to Gobi desert dust storms that blanketed the city several times a year. According to Leonard Dombroski the sandy winds blew so hard your face would marked by small cuts following a return from guard mount. And Ambassador Johnson’s son remembered as a small boy being caught in these storms felt like every breath you took was like inhaling shards of glass. In an age before antibiotics it should come as no surprise that respiratory illness ended a number of careers early. 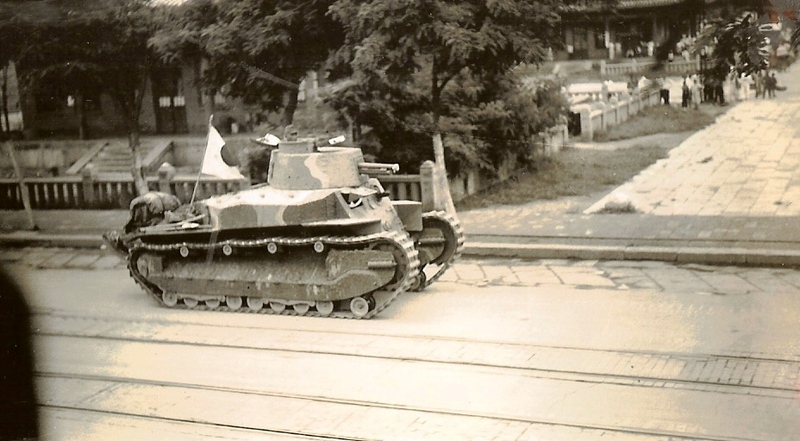 The resumption of hostilities between the Chinese and Japanese in July of 1937 resulted in the Japanese quickly capturing the city and putting a end of the “Golden Age.” Now that the Japanese were in charge, life in Peiping became increasingly harder for the Marines as the Japanese took steps to restrict their activities. 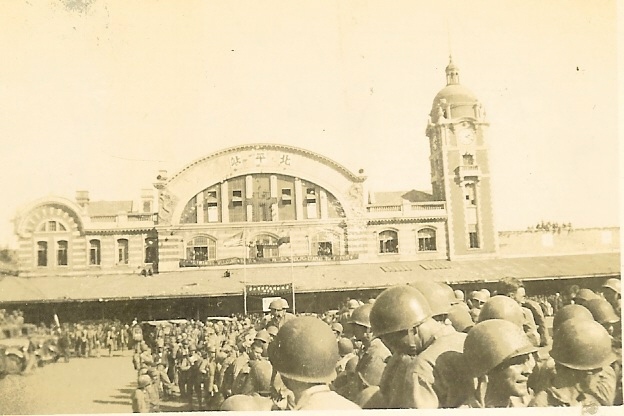 PFC Leonard Dombroski noted upon his arrival in 1938, the city was for more serious and subdued then Shanghai. That same year the War Department saw the writing on the wall and ordered the withdrawal of the 15th US Infantry from Tientsin. But the State Department did not want to surrender an American precence in Tientsin and so the Peiping Marines were tasked to take over the mission. The detachment was now split, with half their number sent to Tientsin to relieve the 15th. Although the State Department did not want the Marines presence in China to be reduced, by the summer of 1940, the Navy Department began quietly drawing down the number of China-side Marines. 1941 saw the Japanese began a series of altercations with the Marines that culminated in the wounding of one Marine. In November of that year the North China Marines finally received orders to prepare for departure by 10 December 1941. It was not to be, for on 8 Dec 1941 with the Japanese attack on Pearl Harbor, Japanese forces surrounded all the North China Marines garrisons, demanded and received their surrender. See John Powers www.northchinamarines.com for more information on the fate of these men. With their passing a unique era of China Marine history was at an end. 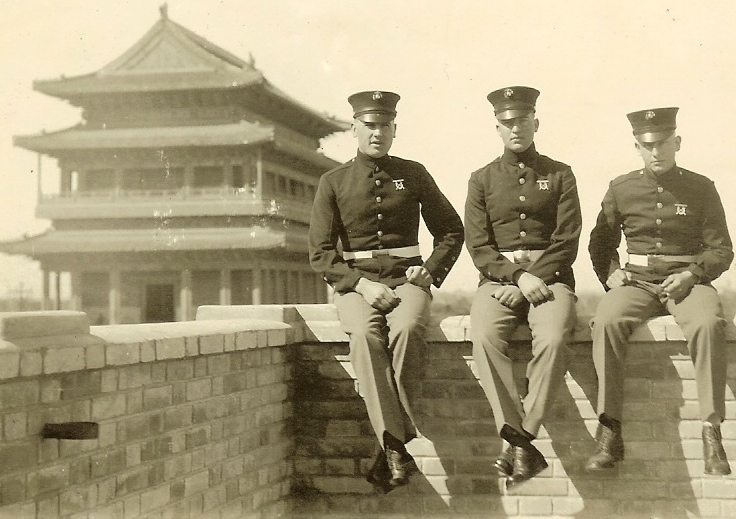 The conclusion of WWII brought the Marines back to Peking, but their mission was not the same. During the war, in January 1943, the Americans gave up their Extraterritoriality Rights resulting from the Boxer Protocols. These rights placed foreign powers outside Chinese laws. Now with the Extraterritorially Rights revoked, no longer would the Marines or any foreign power have the right to station troops or operate on Chinese soil without the consent of the Chinese Government. On 7 October 1945 elements of the First Marine Division returned to Peking to disarm Japanese forces and to ensure an orderly environment for return of the Nationalist Government. Returning to the Legation Quarter, it must have seen like old times for the Marines, however once Japanese forces were withdrawn, intensified fighting between the Nationalist and the Communists forces, combined with the Marines own post-WWII draw down resulted in their withdraw to the coast by the end of 1947. With the Communist victory in 1949, another chapter in China Marine history came to a close. Today, the Marines maintain a small presence at the United States Embassy in Beijing. These men can rightfully claim to be the heirs to a proud China Marine legacy.